Why do people insist on proclaiming their own name when they appear on the radio? It’s a policy I can defend with energy for regular programme presenters who spend hours each day with their listeners, for years and years. For those personalities and on most formats, it’s only polite every now and again to shake hands with the dear listener, say hello and announce who you are. What is a little more puzzling is when ever-changing contributors diminish their short time on air by announcing their name as though it truly is much more important than anything else. The travel, weather and news headline folk really seem hell-bent on trumpeting their name sufficiently clearly for their mothers to hear. On some stations, by the time we’ve got through the station jingle and sponsor, and they've announced the fact that they are about to deliver the travel news and announced their name in full, there’s scant time for the hold-up on the M1. On others, we are formally introduced to the nasal work experience lad who’s been asked to voice a news report into which he’s had no input, for no discernible reason. His identity is of no relevance and adds no weight to the contribution. He's hardly our Home Affairs correspondent. This headline position of the contributor's name suggests someone believes it is the most important thing of all. Again, if you are an expert correspondent in your field, ‘part of the show’, the whole show (whatever the format), or make a regular substantive contribution, there’s a good case to be made for saying who you are. In those cases, your reputation and familiarity brings value. On a fast-moving rota, where different thoroughly proficient voices pop up across the schedule, delivering utility information without reputation, do listeners really care too much to whom those honeyed tones belong? I wonder why we do it. In my experience, sadly, most listeners to many successful music stations only just remember the names of excellent presenters, even though they appear for hours every day. How many would actually recall the names of the folk providing the many breathless cameos? It was not always thus. Until the ‘30s, British news bulletins simply launched straight into the latest delicate headlines from the Empire, delivered in impeccable tones. The perils of wartime, however, brought a risk that bulletins from other less reliable foreign sources might be confused with Auntie's. 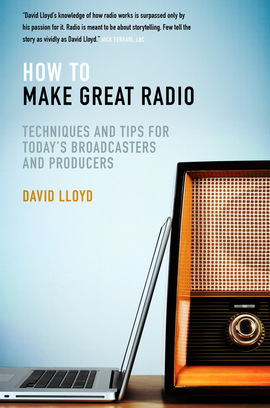 At a time where the first casualty is said to be the truth, it was felt that listeners “must be able to recognise instantly the authentic voice of BBC broadcasting". The instruction was accordingly issued that newsreaders should identify themselves. FrankPhillips was first to do it - 75 years ago, in July 1940. Back then, they made a meal of it too: ‘here is the news - and this is Alvar Lidellreading it’. Identifying yourself brings its price too: listeners know who to blame. One irate listener scribbled a neat note to the DG after hearing Phillips purring from his Bakelite set: "sack that man immediately; we'll never win the war while he is reading the news". Now, everyone’s cottoned on, and we’re all hissing our names, regardless of the relevance. Maybe we should extend the policy by introducing ourselves proudly by name each night to the checkout operator at Tesco. I could even play my accapella name-checks to them from my phone, come to that. This July, the habit is 75 years old. Do we still need quite so many names in quite so many places? Time for a re-think now the War’s over? That was David Lloyd reporting.